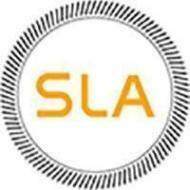 SLA Consultants Noida, has been steadily rising as a corporate training & development leader to take care of all clientÃ¢? ?s & learners needs in a comprehensive framework. We have maintained consistency and stability in providing quality training & interviews since inception, and this is all that makes us stand a name in the industry. Utmost professionalism in covering up for clientÃ¢? ?s training & development requirement with improbable methodologies in analysing the quality of training & development and timely assessment are some of the tools that we adopt in encouraging our proficiency in delivering quality services. SLA Consultants Noida conducts classes in Angular.JS, Digital Marketing Training and Java Training. It is located in Gaur City 1, Ghaziabad. It takes Regular Classes- at the Institute.